The bombastic, high-profile war over net neutrality isn’t over—but the battle is about to move deep into the weeds. In a party-line vote last Thursday, the FCC’s three Republican commissioners voted to repeal and replace the 2015 Open Internet Order, giving broadband carriers the ability to legally block or throttle content and to create “fast lanes” for companies willing to pay more to have their services delivered at faster speeds. Two efforts to undo the FCC’s new rules will unfold in the coming weeks. The first will play out like a highly partisan game of chess. If the first path fails, the second will be a brawl in the court of law. In many ways, the first effort presents a win-win scenario for the Democrats, who announced last week a plan to overturn the order by passing a joint resolution under the Congressional Review Act (CRA). If the resolution somehow succeeds, the Democratic Party will declare a major victory and the Obama-era rules enforcing net neutrality will survive. But if the resolution fails, the blame will fall squarely on Republicans, who by all accounts are drastically underestimating how much of an issue net neutrality may be in the coming elections. Overwhelmingly, Republican voters oppose what the FCC’s plan, according to an extensive recent survey. If the Democrats do manage to pass the bill with a simple majority, President Donald Trump is all but guaranteed to veto. (The White House did not respond to a request for comment regarding the impending CRA resolution.) This means a supermajority—a two-thirds vote in the House and Senate—will be needed. In other words, numerous Republicans would have to mutiny, turning their backs on the White House and party leaders like House Speaker Paul Ryan who are enthusiastic supporters of the FCC’s deregulatory efforts. This effort, regardless of the resolution’s fate, will finally force individual GOP lawmakers to declare their support or opposition to net neutrality on the record. 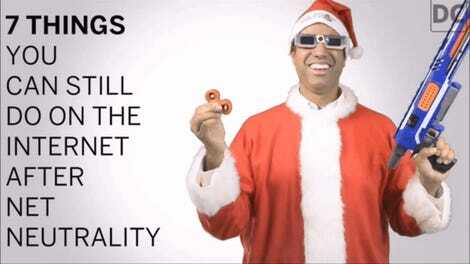 And that matters: The aforementioned survey, conducted in part by the University of Maryland’s Program for Public Consultation, revealed that only one in five Republican voters support FCC Chairman Ajit Pai’s order repealing federal net neutrality rules. You can almost see the ads now depicting House lawmakers as an enemies of the free and open web, shills for a multi-billion-dollar industry universally loathed, even among the red-blooded conservative base. Will Republicans stand by President Trump, or will they acquiesce to the will of Republican voters? A plethora of wealthy campaign contributors support the FCC’s decision, including (obviously) the broadband providers themselves. So the question is, who will get the shaft: millions of voters or the president and a handful of wealthy donors? There are clear parallels here to the GOP’s tax bill—and we all know where that’s headed. Before a CRA bill can be formally introduced, a copy of the FCC’s new rules—officially, the “Restoring Internet Freedom Order”—must be submitted to Congress and printed in the Federal Register, the government’s daily journal in which all rules and public notices are published. 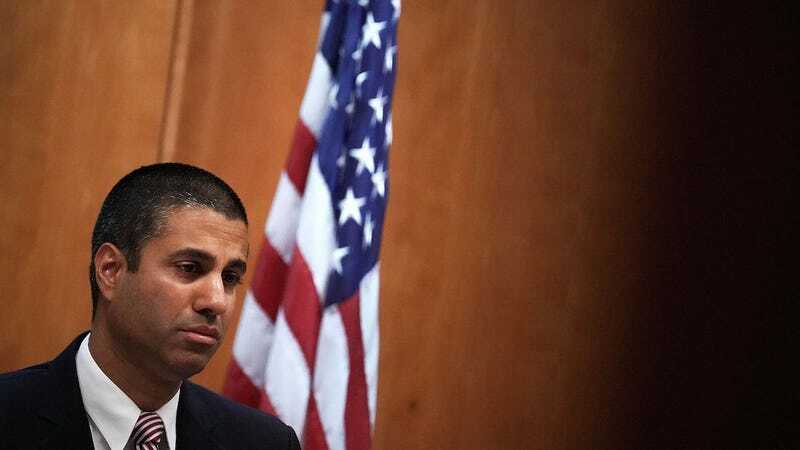 In the meantime, the FCC will release a final copy of the order itself, which is when an alternative effort to undo the rules will kick off in the US Court of Appeals. After the FCC publishes the order—which may happen at any moment, but likely next week—attorneys across the country will file a slew of legal challenges on the behalf of net neutrality proponents demanding a court review of the rules. Another round of filings will follow the order’s publication in the register, which, based on how the previous rulemaking process unfolded nearly three years ago, may not happen for another month or more. Citing allegations of identity theft and fraud at the FCC, 18 state attorneys general signed a letter last week announcing plans to sue the FCC, too. In many ways, ripping off the band-aid and overturning the rules now is the best hope the GOP has for stemming a rising tide of resentful voters who may cast aside GOP candidates in districts that went for Hillary Clinton last year. Defending cable companies many taxpayers associate with obnoxious fees and crappy service sure doesn’t feel like a winning debate strategy. Should the CRA effort fail, the prolonged legal battle is almost certain to keep the issue fresh in the minds of voters as they journey to the ballot box next November. Wait, Can Congress Stop the FCC From Trampling Net Neutrality?